Time-keeping is less important now we’re here. There are no early morning trains to catch, live sports to watch on TV or meeting times down the pub (not that anyone ever arrived on time). Even if a train dared visit Órgiva, we’d maybe hop on one only once in a while. TV is a distant memory and our friends and family remain in Ireland and the UK, so there’s no one to wait for. Do we need watches? Not really, although S bought one from the airport on the way out. It has a tick like a dripping tap fed through a stack of Marshall amplifiers. 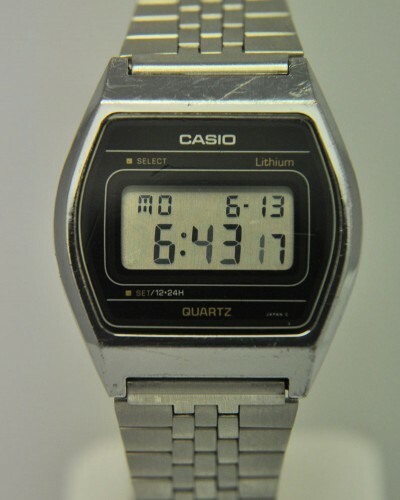 M hasn’t worn one since his 1980s Casio digital. Our guides are the sun and the town’s activity. Come 7am people begin walking up the lane, chatting loudly – an alarm clock with a new piece of gossip each morning. By the time we leave our casita around 9am, the sun is just over the mountains down the valley. The temperature is already on the rise and the pores begin to open. It’s amazing how quickly you learn which side of the lane to walk on to stay in the shadows. By midday, with the sun overhead, there’s no place to hide (we find ourselves here often – mad dogs and Irish girls). Come 2pm, Órgiva’s batteries are removed and it quietens to a whisper. It’s like a huge duvet has been pulled over the town – although the dogs aren’t settling down for anyone. At 5pm, as the shops reopen, children’s laughter can be heard and goats with their softly-clanking bells pass. While the day seems at its hottest, the dagger-rays of the sun are less strong. And like the thread on a mercury thermometer, the sun drops between the trunks of the eucalyptus trees. But the best sundial is the mountains. Around 8.30pm (at this time of year, August), the remaining light begins to draw shadows across the mountainside. The fire-breaks – wide expanses of grass that lack trees – have a different hue. Three long cuts in the rock, maybe caused by rock falls or water courses, near the mountain’s peak – and what we’ve named the ‘cat-scratch’ – becomes even more prominent. The furnace orange becomes more intense and then, in a few minutes, it fades, turning the mountain to corpse grey. The bats are out, flashing by like anti-shooting stars. Lights from villages wink in the diminishing darkness. If you were blindfolded, swivelled and turned upside down, you’d never separate the sky from the mountains. Stars and people’s home lights dotted on a vast black canvas. Below is a picture of the Sugarloaf mountain in Ireland which reminds S of a mountain here. She climbed it when she was growing up. The furnace mountain here will have to wait a little longer. Hope you’re taking in plenty of liquids. Jamon can be very salty! 1982? That’s about right… plenty of water..and..er..beer.